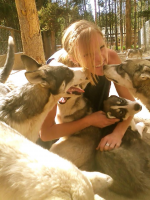 What To Do > Colorado > Breckenridge Summit County > Activities > Snow Caps Sled Dogs - Kennel Tour & Dog Cart Tour - Summer fun for all ages! 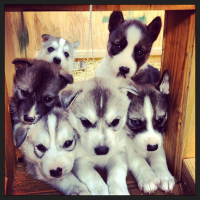 Start with a tour of the kennels to learn about raising sled dogs. 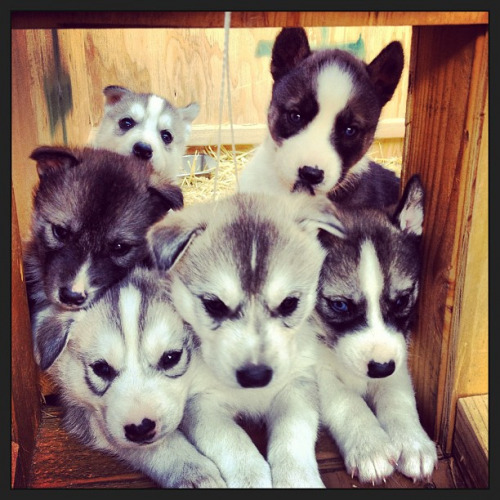 Play with Huskies to your heart's content, snuggle the puppies and get covered in lots of doggy kisses. Then guides will hook up a dog team to the custom-built dog cart and take you and your family for a run through the woods. Surrounded by mountain views, you'll experience first-hand how much these dogs love to run...it will be the most unique ride of your life! For all ages 3 and up. Duration 1hr 15min. Activity - Kennel Tour & Dog Cart Tour - Summer fun for all ages!